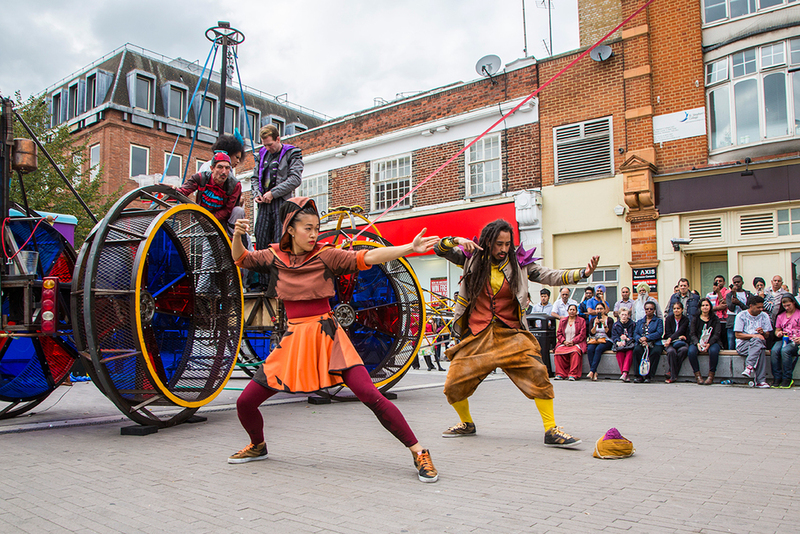 Circulate commissioned Cirque Bijou and Nutkhut to develop S.O.U.R.C.E. The performance told the tale of a group of underground artists living in sewers and buried waterways for over one hundred years, living off stories and music that have seeped and dripped through the earth. The company were in residency at each of the venues, engaging with the community, rehearsing and running workshops. 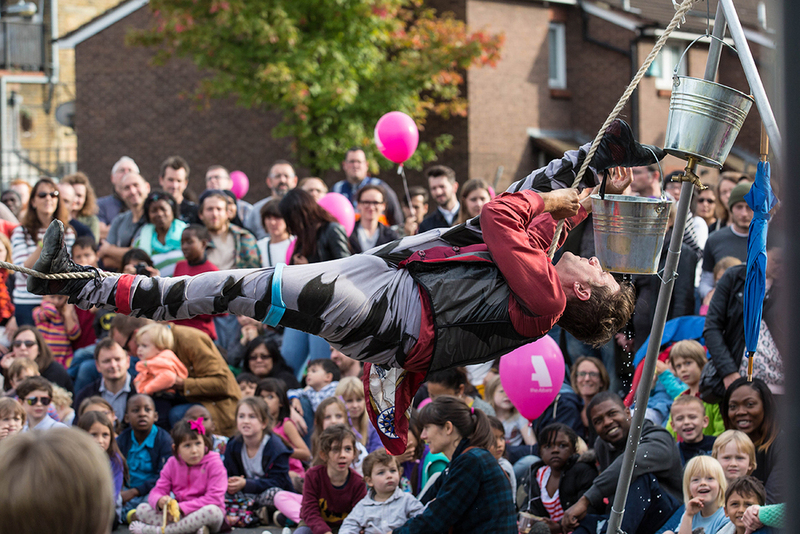 Each residency culminated in a final outdoor performance of circus, street theatre and live music which rediscovered the summer of 1858, the year of the ‘Big Stink’ and a modern day quest to find a pure source of water using The Scientific Orienteering Universal River Charting Engine.